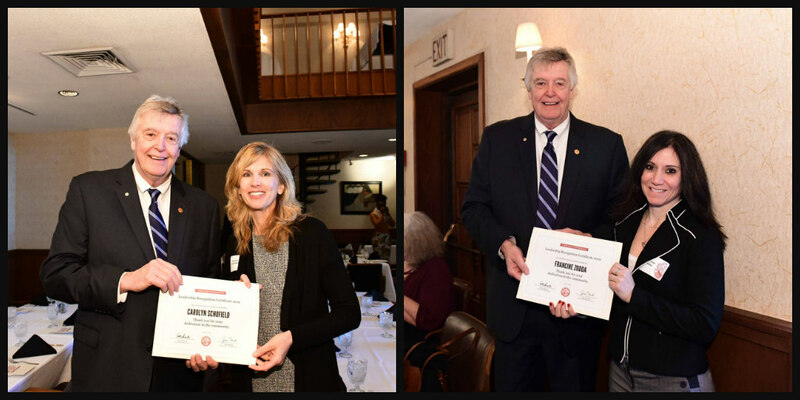 On Tuesday, State Representative Steve Reick (R-Woodstock) welcomed Carolyn Schofield (Crystal Lake) and Francine Zodda (Buffalo Grove) to Springfield for a brunch that honored the contributions of emerging female leaders from throughout Illinois. Schofield and Zodda were among a group of nearly 60 Illinois women who were recognized for their committment to their communities and for work they do to improve Illinois. Schofield is a member of the McHenry County Board and sits on the Executive Board of the Chicago Metropolitan Agency for Planning (CMAP). She is also active locally in District 47 and District 155 Schools. Zodda operates three suburban locations of “A Child’s Place Early Learning Center,” and is a vocal advocate for state funding and other resources for early childhood education.